It’s easy to fall into a styling rut when putting together an outfit featuring the two wardrobe workhorses, jeans, and black ankle boots. Sure, you could always just add a sweater and be done with it, but that simple vibe can feel old after a while. It’s all about something more inspiring to elevate the two staples. Don’t worry—accomplishing this sort of ensemble doesn’t actually require more work than going for that basic look. As some of our fashion people have showcased recently on Instagram, there’s a smattering of easy yet forward formulas to keep in mind that will breathe new life into your jeans and booties. Keep scrolling to uncover that new go-to look. 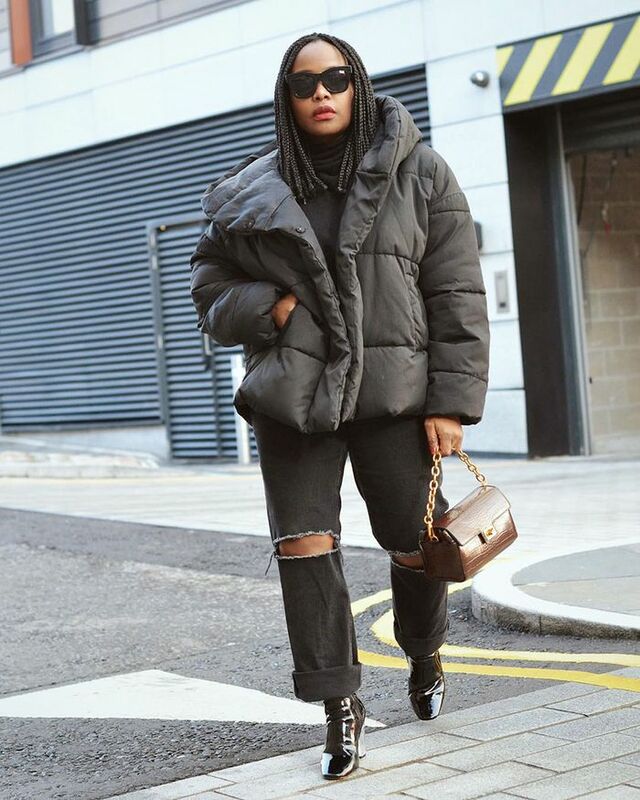 Make an all-black ensemble feel interesting by embracing different silhouettes and textures like a puffer coat with a fuzzy sweater, rolled-up jeans, and your patent booties. You can't deny the power of a moto jacket to make any ensemble—including this 'fit with the leopard knit, jeans, and booties—feel that much cooler. Don't underestimate the power of a bold hue to make a statement. We're loving the red sweater here (with the sleeves poking out of the coat) with darker jeans and pointed ankle boots. If it's a chill yet polished vibe you're looking for to wear on casual Friday, go for an oversize blazer, a roll-neck sweater, and tuck your skinnies into your boots for a forward feel. Into denim on denim? Try a structured jacket paired with tailored jeans, and add your most eye-catching boots (like this square-cap-toe pair) for good measure.